ABS, PLA or other thermoplastic material (filament) is melted by heat and extruded from the nozzle (extruder) . Moving extruder draws a pattern of one layer and the process is repeated to accumulate layer on layer to make 3D model. There are so many low cost and personal 3D printer in the market using this technology and it’s easy handling because they don’t have to use chemical. Printing speed is not so fast and printing quality is not so high compared to other 3D printing technologies mentioned later. Process uses photopolymer (resin) and cure it using UV laser. Very fine printing quality can be made by adjusting UV laser spot with very small diameter and strong energy. Printing takes long time when machine need to draw big pattern with small diameter spot. Machine cost is relatively high except some personal 3D printers. Process also uses resin but it’s cured with image projected by DLP projector. Printing speed is fast because each layer is printed with whole image from projector at once. Printing quality depends on the projector’s performance such as resolution and light source but still it is lower than SLA 3D printer because projector’s resolution is bigger than laser spot in most cases. Machine cost is not so high (it also depends on the projector’s cost and other mechanism). MITS Electronics 3D printer uses DLP technology. Available resin for MITS 3D printer will be mentioned in the other article. Some Inkjet printers use resin and UV light to cure. 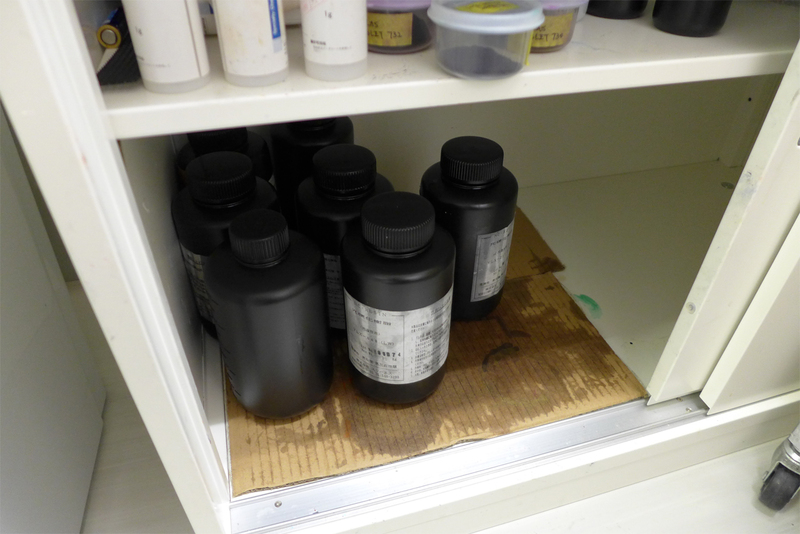 Some inkjet printers put binder (grew) on powder. Fine printing quality and high performance can be made thanks to inkjet technology. Material which is available for inkjet should be carefully selected or restricted because some material may get inkjet nozzle damaged. Machine cost is relatively high. This technology use laser system. Laser melt powder and then melted powder gets hardened to become one layer. Repeating this process so many times to make 3D model. Most wonderful thing in this technology is that metal can be used for material (powder) Plastic material is also available. Printing speed seems to be one like drawing with small laser spot. Machine cost is relatively high except personal printer coming up recently. 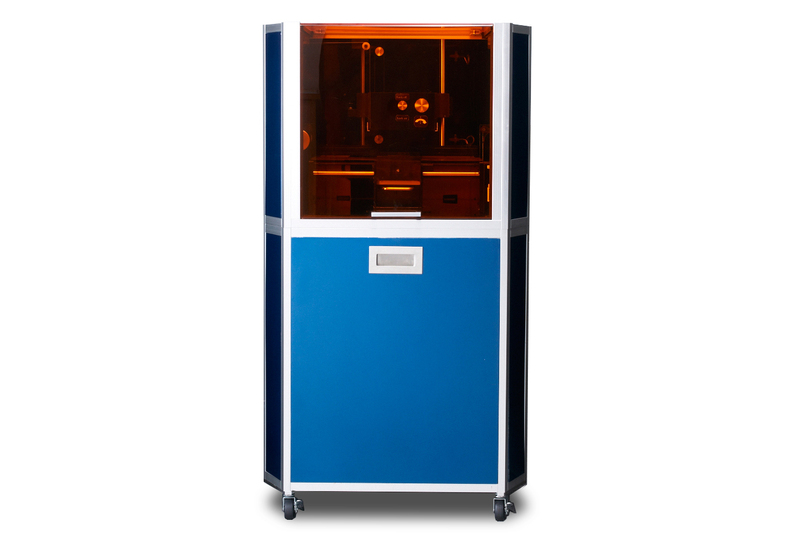 Currently MITS Electronics provide 3 type of DLP 3D printer in the market with different build size and XY resolution. These machines are called M3DS series. As M3DS printer is set up on the floor (floor stand machine), we have a plan to release desktop DLP printer in the beginning of 2016 in order to fit customer’s demand for their floor plan. ・Small portion of resin is put into small tank called coater and printed model is hanging up on the build platform. Comparing to conventional SLA 3D printer which has big tank filled with resin which printed model is sinking, a lot of resin is saved in MITS M3DS printer. 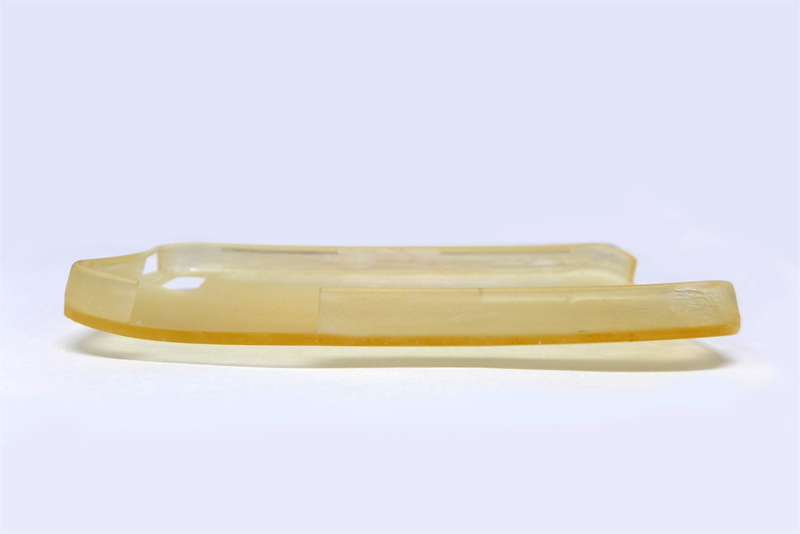 ・We have acrylic resin and rubber-like (flexible) resin available. Also it’s easy to change resin in the tank. Projector is very important factor for high speed printing and machine maintenance. MITS M3DS printer use high performance projector which projects whole image of the layer at once with sufficient power 2500-3000 lumen. The light source is LED (actually LED and Laser hybrid) which life time is around 20,000 hours. Compared to bulb light source which has 2,000-4,000 hours for life time, it means almost no maintenance for light on MITS M3DS projector. Different from FDM printer, there is no complex head or nozzle on M3DS printer. Software provide necessary functions to prepare data for M3DS printer such as importing STL, editing, adding support and slicing. In this article we are going to dig into one of the advantages of DLP 3D printer. In other 3D printer such as FDM, the machine draws the whole pattern of a layer with the small width such as 0.1mm (diameter is varied in the settings) which is melted filament pushed out from the extruder. In SLA printer, the machine uses laser to draw the pattern. Laser spot diameter is focused to micron level. It takes so long time to complete a layer especially when the drawing is large size. In DLP printer, resin in the vat is cured at once with the layer image projected by the projector. This makes high speed printing and the printing quality is ordinarily better than FDM machine. XY resolution with 50um or 100um depends on a pixel size which is determined by the projector resolution and the lens settings. Z resolution which is a layer thickness with 50um or 100um level (determined by user choice) enable to get smooth surface of 3D model. You need to handle chemical (resin). Resin is not toxic normally but still it needs to be handled with care and kept away from other people. It’s also photosensitive which needs to be kept away from light. IPA (Isopropyl alcohol) is necessary when using resin for cleaning up after print. You have to wear gloves, goggles and other necessary items to protect yourself from chemicals when you use them. 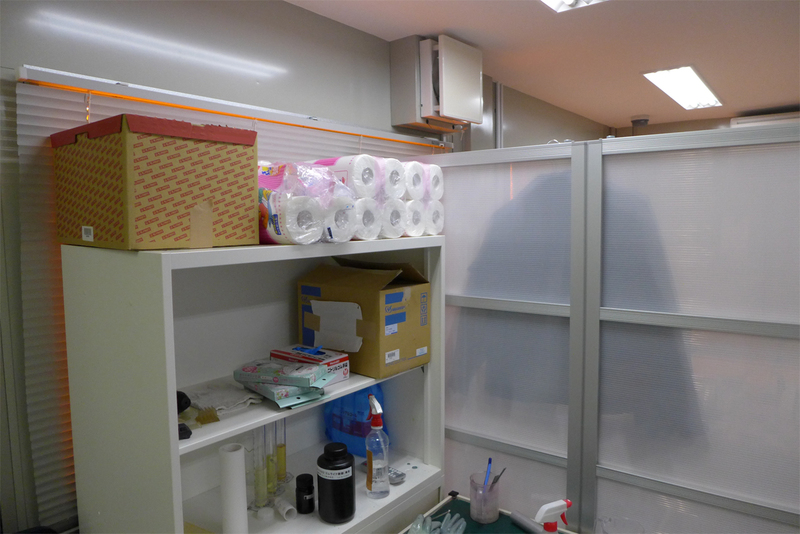 Resin and IPA have some smell and ventilation of your working room is necessary. When you throw these chemicals away, you need to follow the regulation or law of your local community or government. Each 3D printing technology has advantage and disadvantage. We believe DLP 3D printer is one of good choices for rapid prototyping because it is rapid, the printing quality is fine and the price range is affordable. In this article we would like to talk about glove which is one of the important items for working with resin to protect yourself because resin causes irritation or rash when you handle it with naked hand. 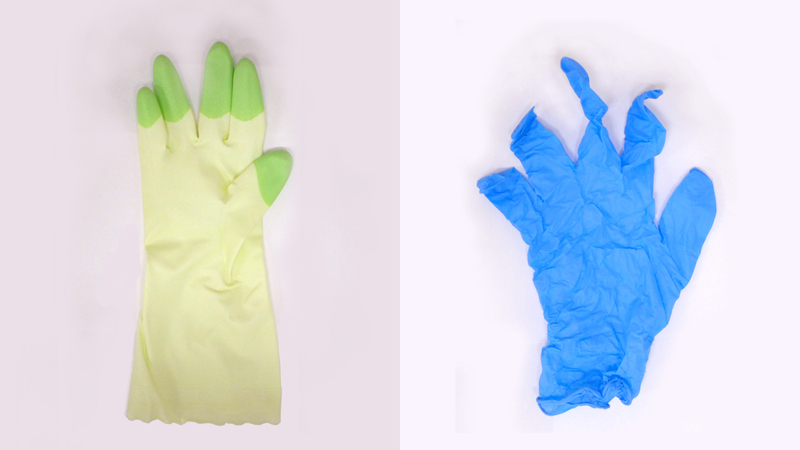 To reduce the possible damage of your hand, we recommend to put nitrile rubber glove on your hand at first and then put another rubber glove on it. If resin goes through into the outside glove, the inner nitrile glove block. We think you can keep to use the outside glove for a few month but we recommend to throw the inner glove away each time you work with resin. *And in case resin is put on your naked hand, please wash it away with alcohol at first and then wash with soap and warm water. 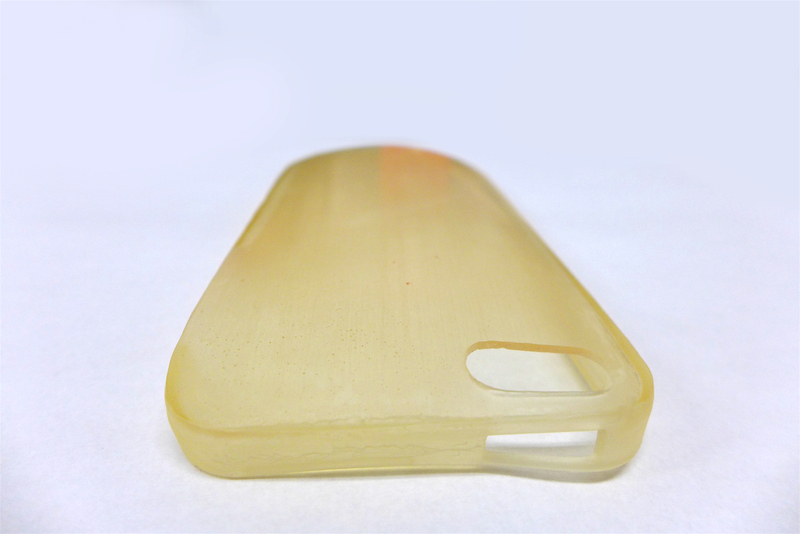 Resin used with MITS 3D printer is photosensitive and it will be cured not only with UV light but also visible light. Cure is not so quick so you don’t have to worry about all your resin going to be wasted immediately when you put resin in the room light just in a few moment. However, still you need to know resin will be cured gradually in the room light and it will be cured more quickly in the sun light. MITS uses UV block panel on the machine cabinet. However please make sure the machine should not be installed near the window of your room where sunshine hit the machine. Otherwise resin in the tank inside would be cured and stick to the machine mechanism, it’s going to be a critical damage. 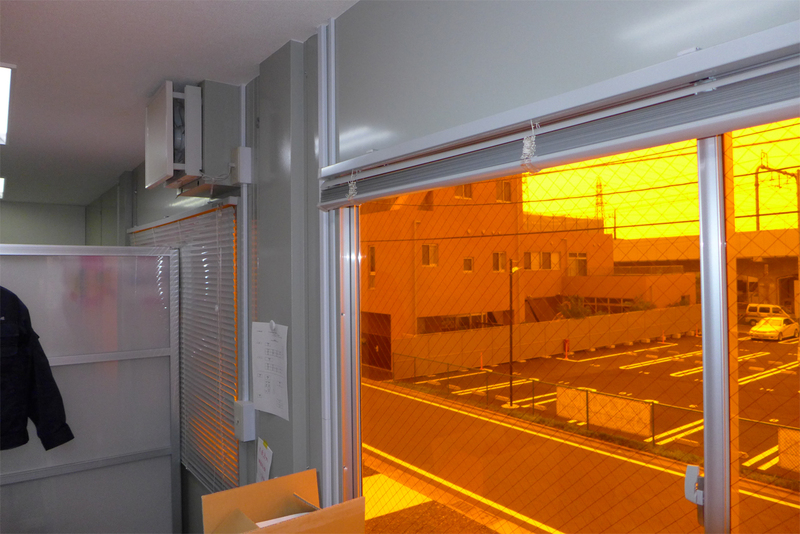 In case it need to be installed near the window, the window should be covered with UV block film. Additionally ventilation system is necessary on your working room for handling chemicals. Resin and IPA (Isopropyl alcohol) have some smell. Warpage. We don’t want it to occur but it actually occurs. As our current resin specialized for MITS M3DS printer is acrylic base, warpage would occur due to some factors such as temperature, humidity and shape of 3D model. 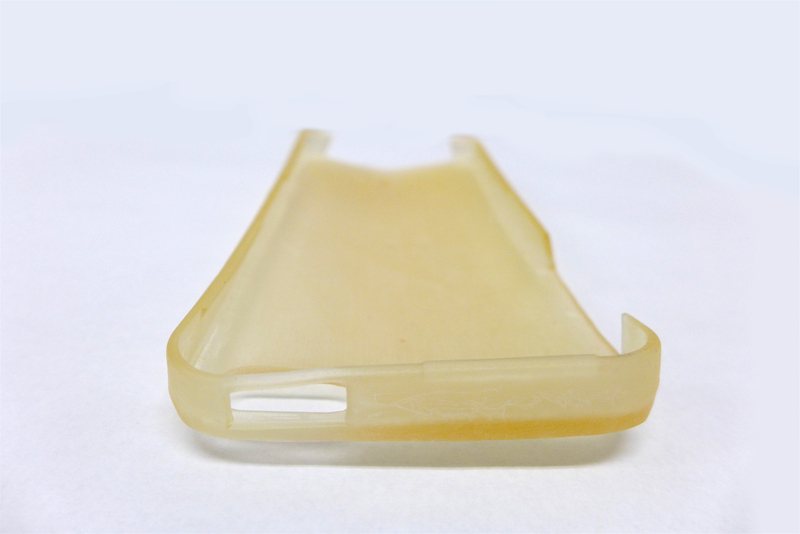 We assume the acrylic resin from other suppliers has similar issue in a certain amount. Here is the sample image of warpage. When we get warpage on printed model, we heat it by hair dryer or in hot water to get it softened. And then we fix the shape by hand. Please be careful not to burn your hand during these works. We are also searching less warpage resin. We will introduce on this blog when we get the updated information. In MITS M3DS printer, the build platform is an aluminum plate which is inserted to the machine and secured. It is very important to make sure the model adhere firmly to the build platform because we don’t want it to fall off during printing. 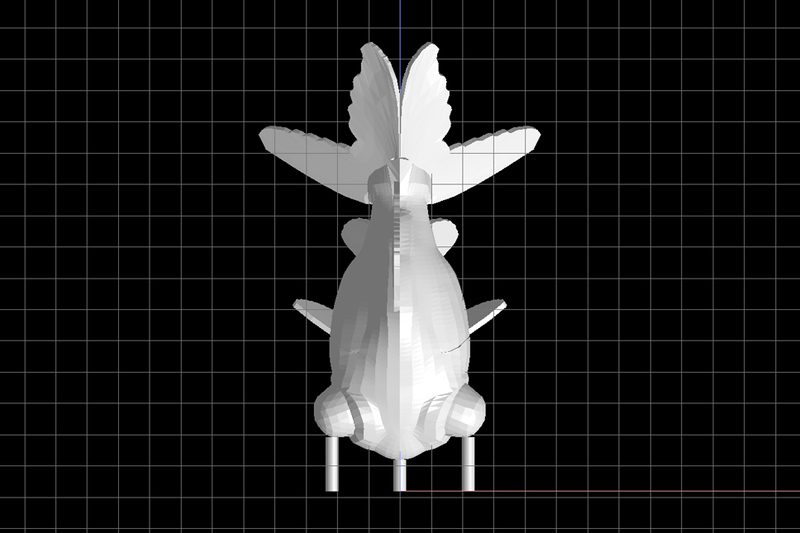 On the other hand it is also important to peal the model off the platform easily after print job because we don’t want to break the model during pealing work. One of the solutions would be putting an aluminum foil on the platform using grease before print. When the print is finished, you can peal the foil off the platform together with the model. And then you can remove the model from the model. It makes the pealing work nice and smooth. 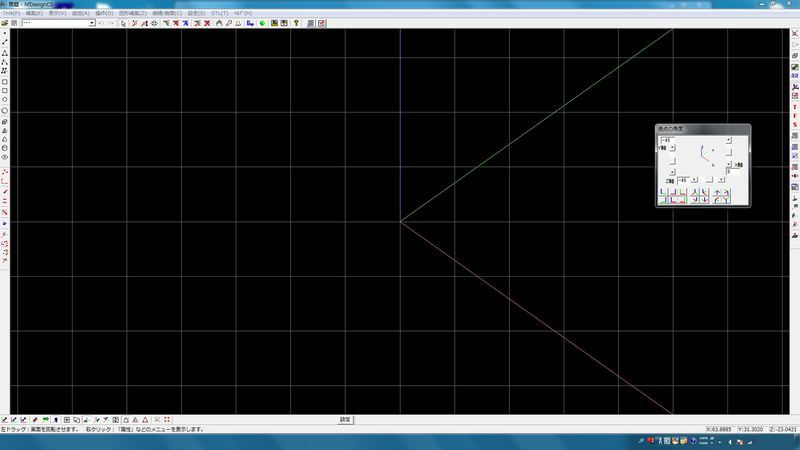 However, here is a demerit of this solution. When the weight of the printed model is over 100g, it would have risk to get the model fall off the platform together with the foil. 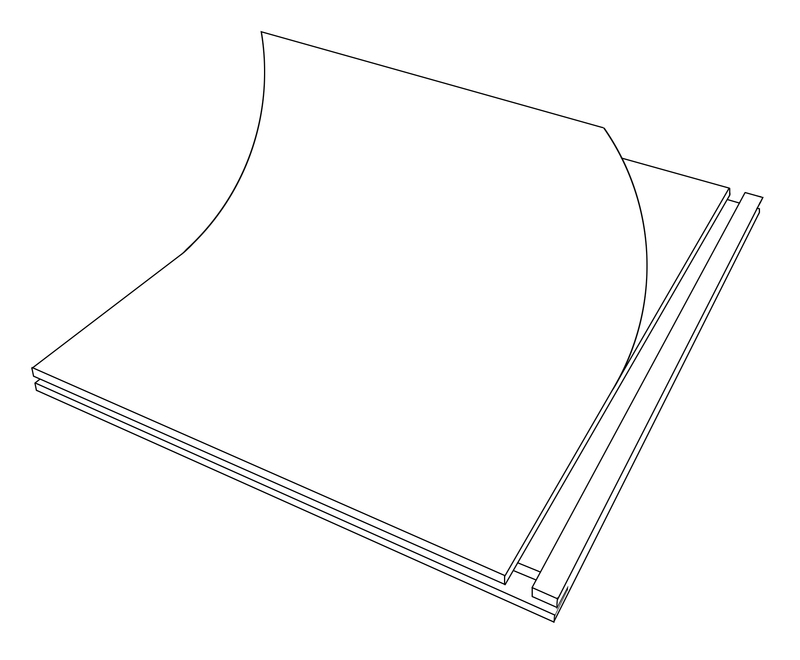 In this case you need to reduce the weight of your model data by making it hollow. STL software which is included with MITS M3DS printer provides the ability of importing STL file, viewing, editing, manual support generation and slicing for the printer. Control software which is also for MITS M3DS printer imports slice images generated by STL software which is mentioned above and control the machine to print. Here is resins available on MITS M3DS printer. 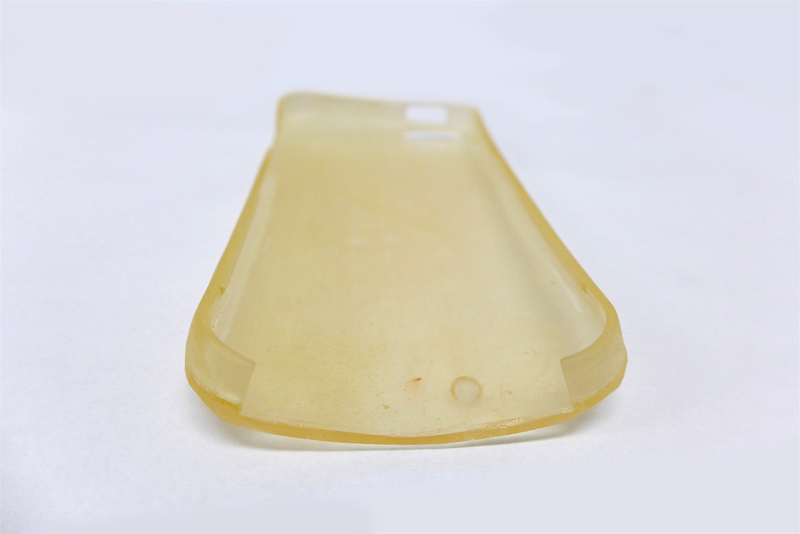 MITS is cooperating with resin suppliers and we are working on developing the new resin. We will update the information if we get anything new.